Today is National Pet Day! We love the pets that live at our communities and in honor of National Pet Day today, we want to highlight a few community pets and share more about the pet policy at our communities. 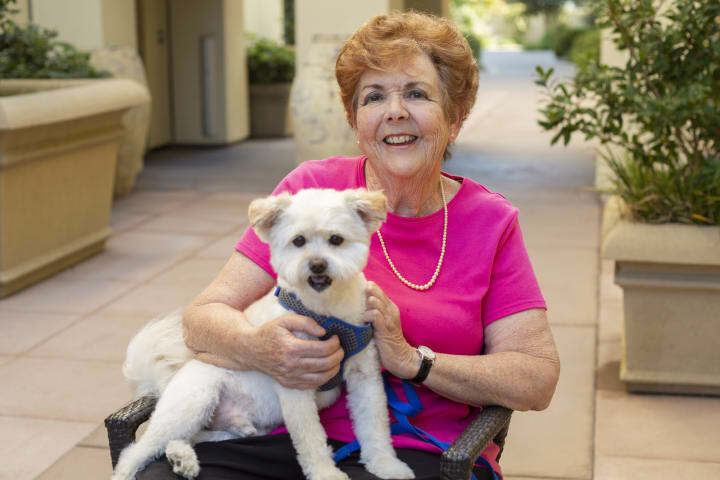 This sweet dog and resident are of the family at our Campbell, CA community! 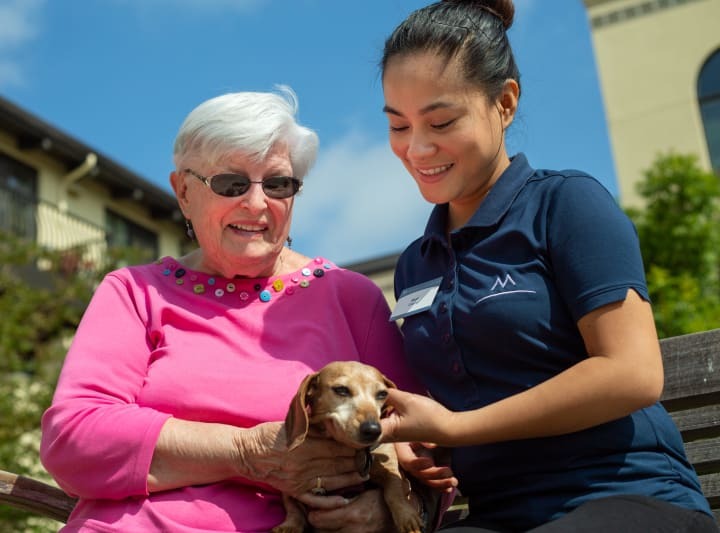 We know how important pets are for residents, often they are like family members, so of course our pet policy allows for residents to enjoy having their pets live with them in their apartments. 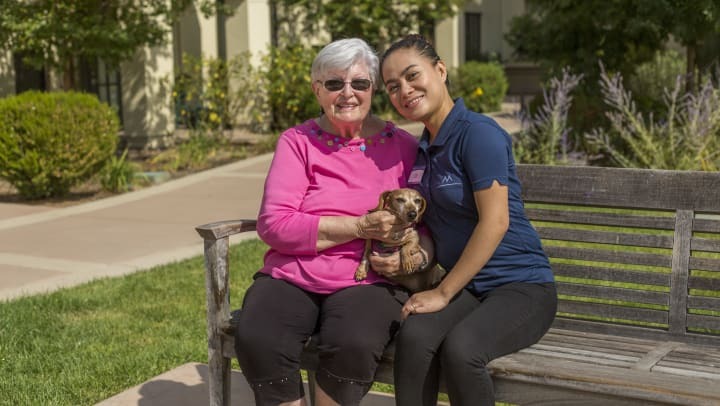 Our team members like to bring their dogs to work too sometimes, so residents can have some time with a furry buddy. 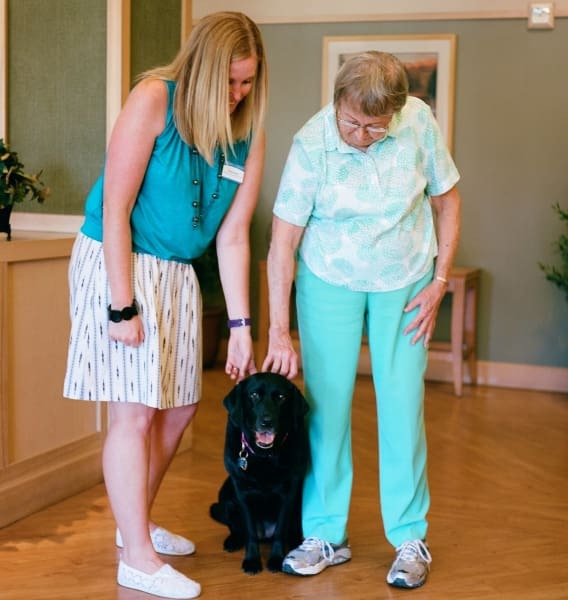 The Active Living Director at Merrill Gardens at Renton (WA) occasionally brings her black lab to socialize with residents. 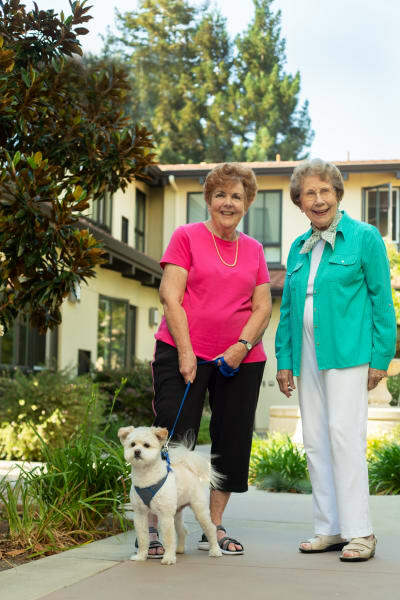 Residents enjoy staying active with their pets and strolling around the community with friends! Our resident's pets come in all shapes and sizes and they are all adorable. And though dogs outnumber cats by far, we still have a few sweet felines who live with us too. We know that pets can be a handful sometimes so our team can help residents care for their pets too if they need a little extra help. Contact one of our communities to learn more about their accommodations for pets.